533 Rigid One Hole Strap 1"
Topaz’s one hole rigid straps are featured in a wide array of sizes to suit multiple applications. Easy to install snap on type is available in 1/2” to 6” sizes; supports both IMC and Rigid conduit. 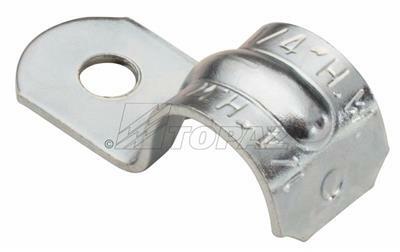 Fabricated from strong and resilient steel; UL listed.